When Ivanka Trump said that India had lifted 130 million people out of poverty she was referring to the UPA government's period of 2004 to 2014, Chidambaram said in a tweet. 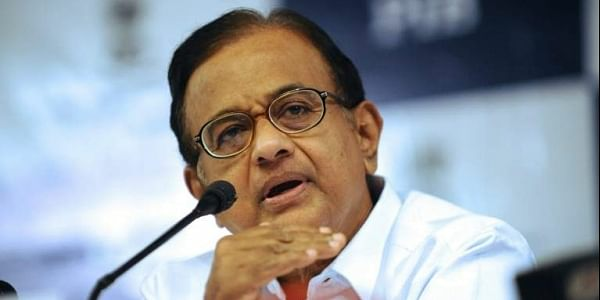 NEW DELHI: Senior Congress leader and former Finance Minister P. Chidambaram on Tuesday said that US President Donald Trump's daughter Ivanka's compliment about India lifting 130 million of its citizens out of poverty referred to the achievement of the previous UPA government. "When Ivanka Trump said that India had lifted 130 million people out of poverty she was referring to the UPA government's period of 2004 to 2014 (the number was 140 million)," he said in a tweet. The senior Congress leader's reaction came in the wake of Ivanka Trump's compliment in which she said, "The people of India have lifted more than 130 million citizens out of poverty. All of you are helping India's middle class reach its goal of becoming 500 million people by 2030." Chidambaram also took on Assam Chief Minister Sarbananda Sonowal for his remarks that the North Eastern state has become terrorist-free. "If Assam is a terrorist-free State and there is no law and order problem (as the CM claimed) why has the state government declared the whole state as 'a disturbed area'?," he asked in another tweet. Sonowal said on Monday that Assam is now a "terrorist-free" state and does not have any law and order problem.